You can avoid any flu or cold naturally by keeping your body's defenses strong. Unfortunately if you're like the average American, you're probably starting off on a poor foundation as the American food industry does everything it can to make a buck at the expense of your health, even when it claims otherwise. Don't let that get you down, though - everyone has to start somewhere. If you're on the Standard American Diet (SAD) then one of the first and most important tasks you must accomplish is to reduce your daily sugar intake. It's a good thing to check your foods for sugar levels even if you aren't on SAD because the typical food manufacturer hides sugar in their products in numerous ways. High Fructose Corn Syrup is getting the negative attention it rightfully deserves, much to the obvious chagrin of agriculturally-related corporations everywhere. For them, it's cheap. For you, well, treat it like poison. It hides in everything from the obvious such as pop and sugared cereals to innocent-seeming products like bread and ketchup. When you consume sugar, it is like you are inviting a cold or flu into your body. Sugar is like a bully inside your digestion system, and pushes its way ahead of cold-fighting nutrients that your body needs, like Vitamin C. Thus your immune system is brought to its knees for the time that sugar controls it. Normally, foods that you eat often come "packaged" naturally with enzymes, vitamins, and minerals that specifically help your body digest it. This isn't always the case, and with sugar, it is the opposite of how it should be. There are no digestive helpers, so those minerals and vitamins are actually taken from your body's own stores. Sugar puts you into a position that is even more dangerous than just being susceptible to the latest cold or flu germs that are floating around. All sorts of disorders from asthma to obesity await you when you consume sugar. Another element of the SAD that is omnipresent, dangerous, and overlooked is the oil, or oils, used in cooking. Typical vegetable oils bought in Supermarkets everywhere should be avoided as much as refined sugar. This includes pretty much every oil you might find on the shelf in those tall, clear, plastic bottles; canola, corn, sunflower, safflower, soybean, and so forth. Not only are these kinds of oils already rancid (and bleached to hide it) to some degree BEFORE you buy them, but they immediately begin a toxic decomposition inside your body once you consume them. Immediately get rid of these kinds of oils from your house, and swap them out with coconut oil. This is the best oil for cooking with, and you should also try work up to three tablespoons of pure, virgin coconut oil into your diet. It is antiviral, antibacterial, and antifungal. This is a key tool in your body's defense against germs. 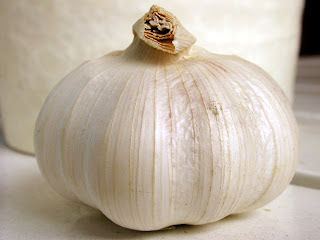 While there are other things such as dairy foods and flour that may need to be updated in your diet, the next flu fighter we should take a look at is garlic. It is a holy grail for fighting off the cold and flu because it is a natural antibiotic and antibacterial agent. It is abundant and cheap, and it is easy to eat. Either chew a clove while eating your lunch, or chop it onto a spoon and swallow it with a drink as you would vitamins. If you choose the latter route you will wind up with less garlic breath, but you may want to make sure to eat something else as well since garlic alone can make your stomach slightly upset. There are, of course, other ways of boosting your immune system, and these will be explored in the days to come. We'll step back to take a closer look at dairy and flours and how they may be unhealthy even when they seem good for you, and we'll take a look at "old world" answers to sickness and remedies as well. Keep in good health!